Why is my rating decreasing when I win? What does ≈ mean in front of the rating? How can I enter tournaments? How to switch to full screen? How can I set the number of ends for a match? The game does not start after logging in! Can I use the old Java version? For each match an "expected" score is calculated from the rating difference of the two players (if the ratings are equal, the expected score is 0.5). This expected score is then compared to the actual score of the game (1 for win, 0 for loss, or can be anything in-between for multiple ends). If the expected score for the player was higher than the real score, the rating drops, if the score is higher than the expected score, the rating is raised. Where We is the expected score, and dr is the difference in ratings before the match. Where W is the score of the event, We is the expected score, n is the sum of the scores by both players. The system is based on the rating system developed by Prof. Árpád Élő. This can happen if you play more games, and the final score is "less" than the "expected score". See the rating system description for more detailed explanation. The ≈ sign means that you have played less than 20 games, therefore your rating is "provisional". The sign will go away after the 20th game. Ratings are calculated differently if you play against such players. The rating adjustment will be less. If your opponent has never played a game before (denoted by ---) the rating change will be half of the normal. If your opponent played only 10 games, the rating change will be 3/4 of the normal, if your opponent has played 20 games already, rating change will be normal as described here. What is FlyOrDie Grand Prix? Non-subscribed players can also participate, by attending public tournaments, though you have better chance if you can participate in all tournaments. Most of the tournaments are only for subscribed members. Though occasionally there are open tournaments for everyone. Please check the tournament calendar for details. If you are eligible to enter, all you have to do is attend the tournament room at the given time. Any kind of advertising is annoying. Unfortunately it is necessary to keep viable a busy site like this. Since several people complained and requested accessing the site without advertising, it was launched a package of premium subscription services. These are exclusive services made available to subscribers that pay a small fee of USD $25 a year. Among other services, it is included the possibility to access the site without advertising. Skins format is an alternative scoring system. A point skin is awarded for each end won, while the skin value increases for each end as the match progresses. Such an end is said to be won, if the player with the hammer has at least 2 stones counting, or the player without the hammer steals the end. If neither of these occur, the skin is carried over to the next end. The skin value for each end: 1 1 2 2 3 3 4 4 5 5. Full screen mode is only available for our subscribed members. To activate full screen mode, press the F11 key on your keyboard after you start the game. The game can be also resized to any size. Simply drag the corner of the browser window, and resize it to any size you wish. Non-subscribed players can only use the zoom levels in the browsers. Zoom is usually applied in most browsers by pressing the CTRL and + key on the numpad simultaneously (CTRL - for zooming out, or CTRL 0 for default zoom). It might also be needed to maximize the game window, which can be done by clicking on the small icon next to (x) in the upper right corner of the window or pressing ALT+SPACE+X in some browsers. The resolution of the game will not change, it is simple image zoom, so the resulting image will be little more blurred. It is possible to select the number of ends to play in a match. This setting can be accessed by clicking on the gear icon right at the center of the screen, which is called "Chat and game settings". Can I purchase a gift subscription to friends, family members? You can subscribe a friend, family member, or anyone else, without using their nickname/password. While we value every user, our subscribed members are given extra consideration. Subscribers have special privileges and special services. We listen with great care to our subscribed players' suggestions & concerns. All kind of advertising is disabled for our subscribed members, so you can play without any disturbance. Special weekly tournaments for our subscribed members with prizes. Enter rooms which are already "full". There are also preserved spectator places for subscribers. Change between rooms, game varaints easily. Our subscribed members can challenge for being on the toplist, compete for prizes and have more detailed statistics. Subscribers can upload a photo as their avatar, and they are given a special star next to their names. Longer chat messages, prominent chat colors, send clickable URL's in chat, use copy/paste to send messages easily. 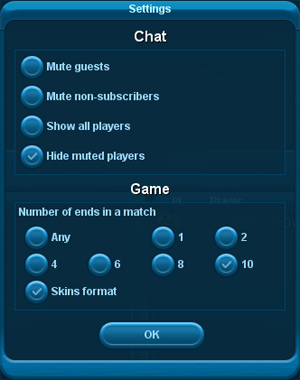 Ability to add other users permanently as "buddies" or "muted" (unwanted users). You can set your status as "do not disturb" to prevent any disturbances. Our subscribed members can select how many games they want to play in a single match, and can choose different game settings (different for each game). You can enjoy the benefits on all FlyOrDie Games (benefits may differ for other games). The first and most important is that you use the "mute" button for every player whose activity disturbs you. 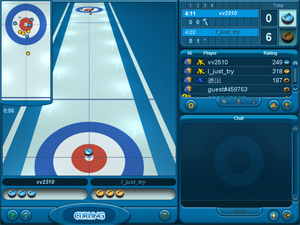 The game can be played on several platforms, including desktop PC (Windows, Linux), iOs devices (iPhone, iPad), OS-X, Android devices, Windows Phone, etc.). The game requires webGL, which is widely supported in modern browsers for these platforms. For Android, we recommend using Chrome as it offers better WebGL performance in most cases. An up-to-date graphics driver is strongly recommended for best performance. These drivers can be downloaded from the manufacturer's website: NVIDIA, ATI/AMD, INTEL. Please note that support for Java version will be discontinued later.